We love this wardrobe essential for the season. 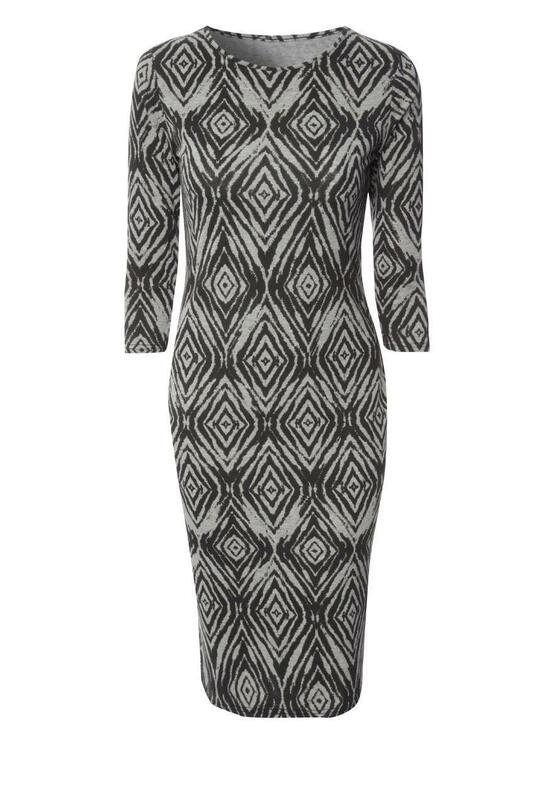 Our gorgeous printed midi tube dress features a figure hugging shape and flattering 3/4 length sleeves. Wear this dress with ankle boots and a cropped blazer jacket for a look that can take you from day to night! Peacocks has a great selection of womens fashion midi dresses online.